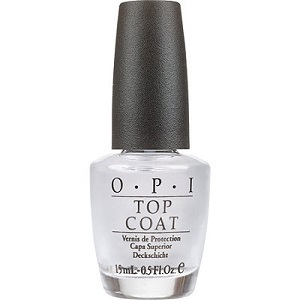 Home > Top Coats, Base Coats, Nail Treatments & Cuticle Oils > Top Coats For Protected Long Lasting Manicures > OPI Top Coat .50 oz. OPI Top Coat .50 oz. OPI Top Coat in .50 oz. size. It seals nail polish in, makes color stay on nails longer. Gives nails a glossy finish.